Reductive off odors are a series of sulfury notes (rotten eggs, decaying seaweed, putrefaction or cooked cabbage) eventually developed by wine, caused by H2S, methanethiol (MeSH) and sometimes, other mercaptans. They represent a serious problem for the industry, accounting for an important proportion of high-quality faulty wines. Although there is an empirical link between a high formation of sulfury notes during fermentation, and the likelihood of developing the problem during anoxic aging, the apparition of reductive off-odors remains poorly predicted and explained. Two of the most popular industrial treatments are aeration and micro-oxygenation (MOX). In the former, it is thought that the compounds are lost by volatilization, while in the latter, it is thought that they irreversibly react with the quinones formed by oxidation of wine ortho-diphenols. In this paper, three different wines have been subjected to three MOX procedures differing in the time and dose of oxygen supplied (1.5 mg/L/month for 1 or 3 months or 8 mg/L/month for 1 month). The MOX samples were later stored in complete anoxia at 50°C for 2 or 7 weeks, a process which mimics well the development of reductive off-odors in long-term anoxic storage (such as a bottle capped with a high-quality screw-capped closure or with a good natural cork) at room temperature. The levels of H2S and MeSH were monitored throughout the process using two different methods: a gentle one in which only the free forms in the headspace are measured; and a more energetic second one in which also the forms of these compounds forming complexes with metal cations (such as Cu(II), Cu(I), Fe(II) and Zn(II)) are determined. Experimental results confirmed that the levels of free forms of H2S and MeSH decrease at close to detection limit levels immediately after MOX. However, during reductive storage, levels increased, at a pace inversely proportional to the dose of oxygen given to the wine, reaching values close to or tending to those reached by the non-oxygenated aged sample. From a practical perspective, MOX postpones but does not avoid the development of reductive off-odors. The key to understanding the underlying, and apparently chaotic, chemistry of the system came when the levels of free+complexed forms of H2S were represented versus the measured redox potential of the wines. A sigmoid was clearly evident at least in two of the wines: at negative redox potentials (attained after natural or induced reductive aging), levels are high and decrease progressively when the redox potential of the wine becomes more positive after oxidation. The process has to be perfectly reversible, since levels of free+complexed forms strictly attain to the sigmoid, independently on the oxidation-reduction history of the wine: only its actual redox potential matters. Similar sigmoids were also observed for the fractions of H2S under free forms. The most plausible hypothesis, supported by recent reports, is that during MOX, H2S (and MeSH) are reversibly oxidized into different (poorly characterized) di and poly(hydro)sulfides. However, at the moment in which the contact with oxygen ceases, the wine spontaneously begins to release electrons (likely from polyphenols undergoing spontaneous condensation reactions) which restore sulfhydrils. This also happens to wine cysteine and glutathione, which when concentrate in reduced forms, directly causing the redox potential to become negative, compete for the complexing metals provoking the release of free H2S and MeSH. 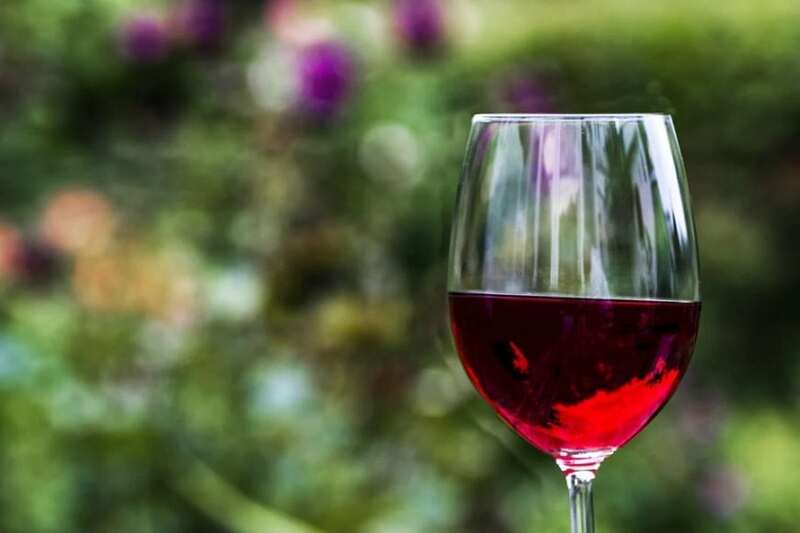 This study, Micro-oxygenation does not eliminate hydrogen sulfide and mercaptans from wine; it simply shifts redox and complex-related equilibria to reversible oxidized species and complexed forms was recently published in the journal Food Chemistry. Vicente Ferreira is a professor at the University of Zaragoza. His research focuses on chromatography, food science, sensory analysis, and analytical chemistry.